Daz has done me the great courtesy of allowing me to stick an iteration of my Duckie line in the store. I thought I'd start a little promo thread to grab some attention for it, and drive home the idea that it's good for more than just Ducks. My reaction to today's playoff games. Looks great, very emotive, Reality Render? Awesome produckt. This is what I was first inspired to do with it. Still have quack a bit I want to do to it still, but I'm having problems finding where the morphs are for the bill to make it eagle shaped or what not, I've Dove though just about every folder I could find. Thank you. I found them. I looked there last night but it was like 2 in the morning I musta scanned my eyes right over them. These look great but I was wondering how well they can be combined with other figure shapes? It does not look like it comes with a separate isolated head morph. I love the head sculpts on these but I would also want the figure versatility of your other "Duckies for Genesis" product that was on Renderosity. Is that one still available anywhere? A lot of people really love Genesis because of the versatility with combining shapes. I know basic modeling in external apps and might be able to isolate the head myself (applying the morph to a limited selection I think would work) but I'm not that familiar with rigging/correction yet and not sure if I would mess that up when I import it back in. Thanks for any info. I'm also wondering about these things...I've been thinking about using Genesis to make some realistic (i.e., not toon) bird-people, and I think this might be the missing link I've been waiting for, to help me achieve that. Curious how well it works in combination with other shapes, or dialed down to 50% or even less. It's certainly a cool-looking product, regardless. Love the various beak and texture options! These look great but I was wondering how well they can be combined with other figure shapes? It does not look like it comes with a separate isolated head morph. I love the head sculpts on these but I would also want the figure versatility of your other "Duckies for Genesis" product that was on Renderosity. Is that one still available anywhere? A lot of people really love Genesis because of the versatility with combining shapes. 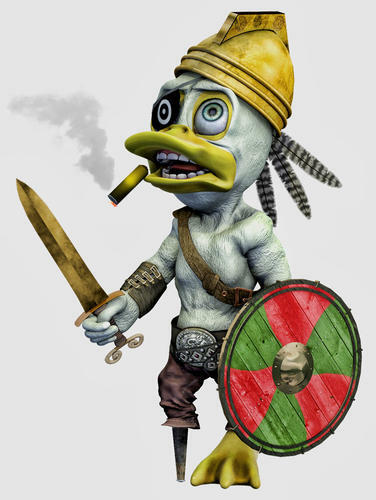 [I'm also wondering about these things...I've been thinking about using Genesis to make some realistic (i.e., not toon) bird-people, and I think this might be the missing link I've been waiting for, to help me achieve that. Curious how well it works in combination with other shapes, or dialed down to 50% or even less. 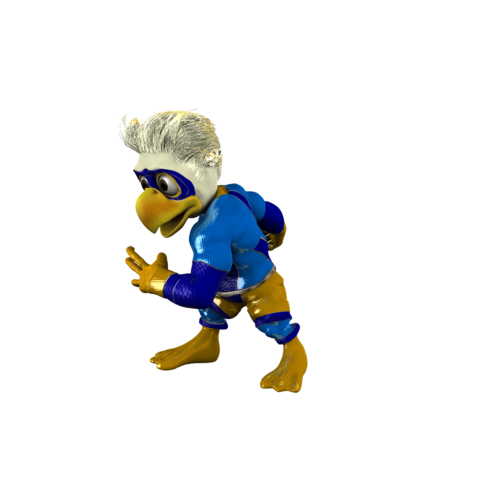 The product was really designed to work as a duck cartoon base that can be turned into other cartoon birds via the additional beak shaping morphs. If you're looking for a more realistic bird person/head, I would suggest Raw's Bird Cult. Using Gen X you could transfer that morph over into genesis. I was playing around a bit and came up with this. Quackbeth Hueymackt, one-eyed, one-legged duck bandit. Have to say you did a great job Joe,he's an excellent character !!! Love the creativity of your new product, and thank you for creating it. I am a Genesis fanatic. 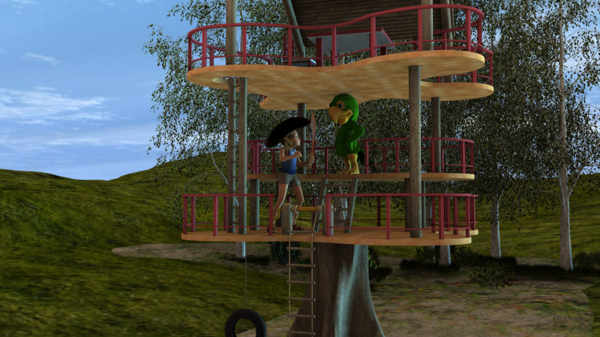 I started using Daz because I am trying to create my Chicken People for my new comic by the same name. They are people with slighly beaked but human faces and chicken body postures but human bodies, so I need some subtler options with the dials. I fully agree that the advantage of Genesis is to be able to combine characters. For instance, I don't want my characters to be shorter than entirely human characters. That is the case here from what I can see, or am I wrong about that? I really like DAZ for the reason you can see in "Grilled Duck". 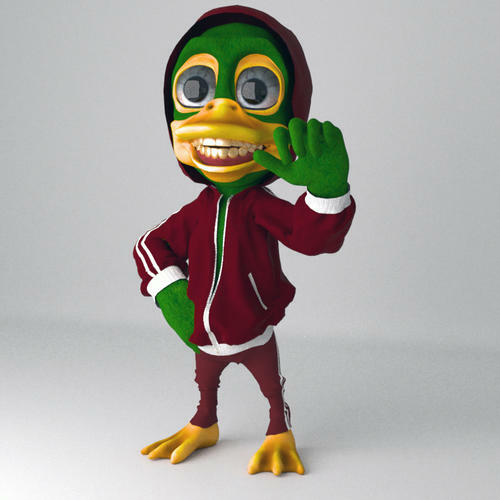 I can put "Dental Plan" into a Duck's mouth, and clothes that were designed for a completely different character on my model....with very little tweaking. I don't think everyone really appreciates this way of combining all these items together. Your reality renders make me want to start 3d printing a series of maquettes. What look are you going for on the hair? Very cool! 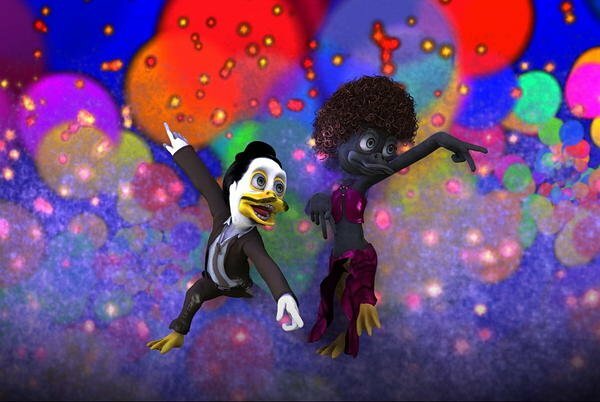 Ihave been looking for a good duck character. I like Eggbert but he is a little youngish for what I want. I love this model! It's been a lot of fun to play around with to get different types of birds. 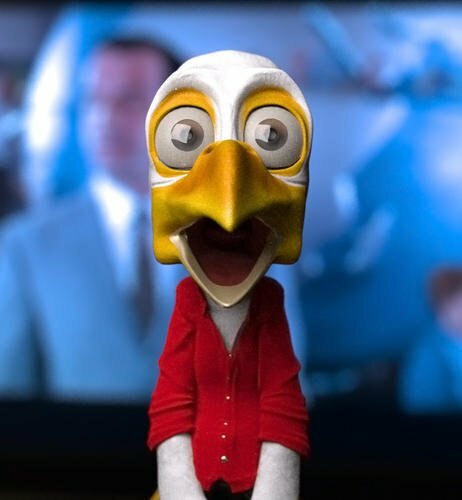 One question though - is it possible to change the colour of say, the beak or the yellow areas around the eyes? You could do that by editing the texture maps in photoshop or gimp. Edit the diffuse map for the head, save your new version under a different name, and then load it as the diffuse map for the face nostrils and lips.